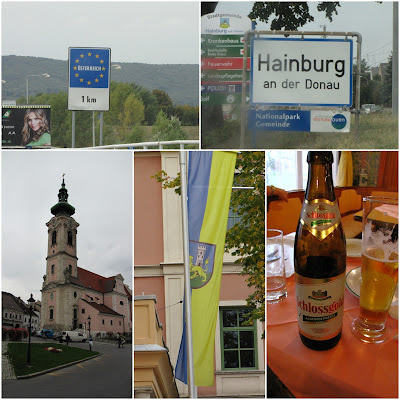 Because our primary destination is Vienna and Lower Austria, we took the car and went behind the border which is only a mile from the hotel, we passed Wolfsthal and we got to Hainburg a.d. Donau. It's a shame that it started raining!!! 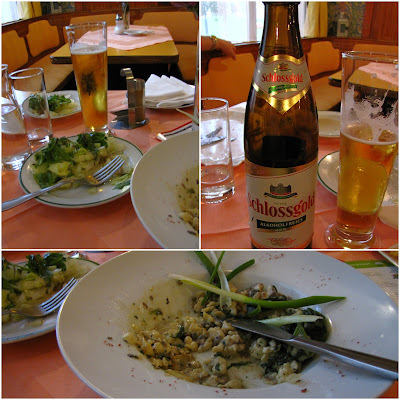 But we had fun and hungry as wolfes we went to the first restaurant we saw in Hainburg for a small lunch. I got something vegetarian (don't ask me what, because I forgot but it was delicious) and my parents a Wiener Schnitzel with French fries. 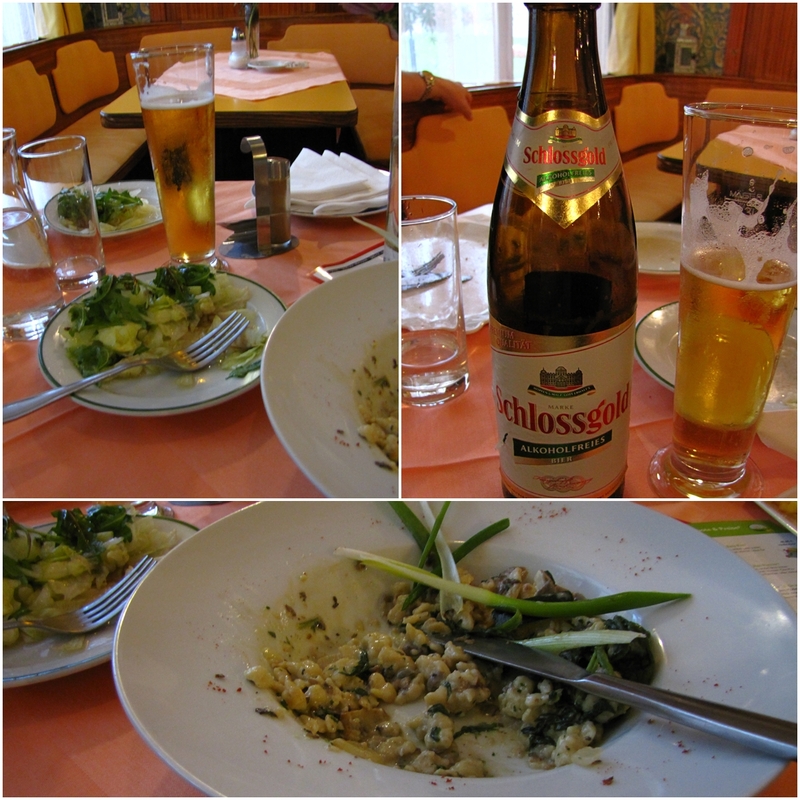 My dad was the driver today so I enjoyed a cold and very tasty Austrian beer. 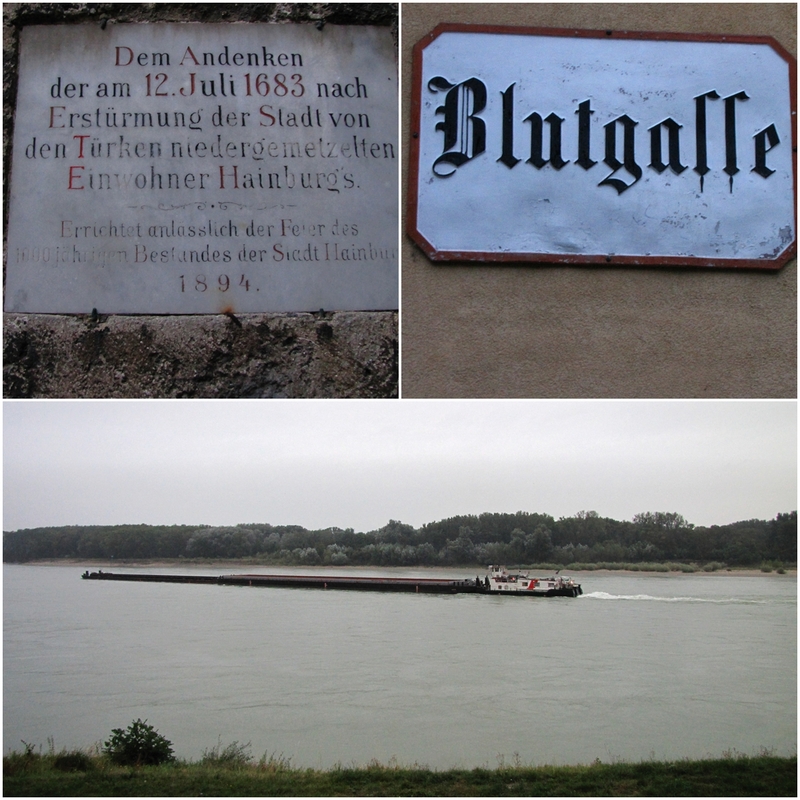 I saw the Danube river twice today in Bratislava and in Hainburg. It's so enormous! It's been more than 10 years I've seen our most European river for the last time. Hainburg is a nice and small city. But's very different in its' architecture from the Southern-German cities I am used to know. 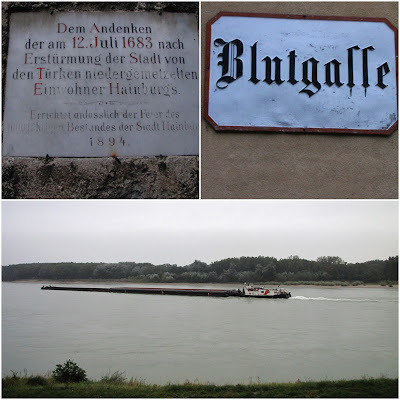 In a few hours we're leaving to Vienna and because me and my folks we're lazy people, we decided to go there by car and park it in the middle of the city instead of taking the train which runs only 60 minutes from Bratislava to Vienna.